Healthvit Cenvitan Multivitamin Lysine tablet is a dietary supplement for children that helps to improve their appetite, digestive health and promote growth. This combination helps to improve appetite due to higher body metabolism and demand towards food intake. It also promotes muscle growth, height gain and weight gain. Lysine enhances the metabolism with Vitamin B Complex. 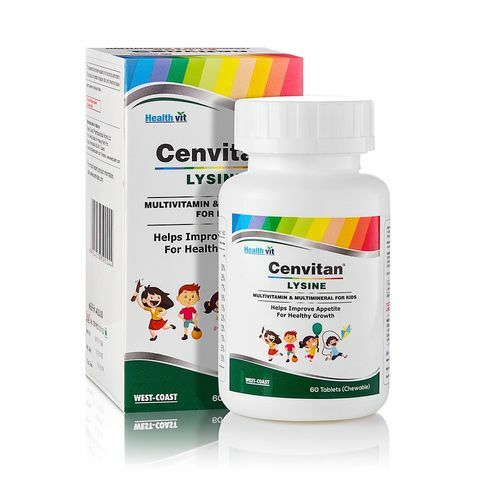 Healthvit cenvitan lysine is multivitamin and multimineral tablet for kids.